October | 2015 | Welcome to the RW Carbon Blog! Another post today about RW Carbon products shipped to the opposite end of the world. 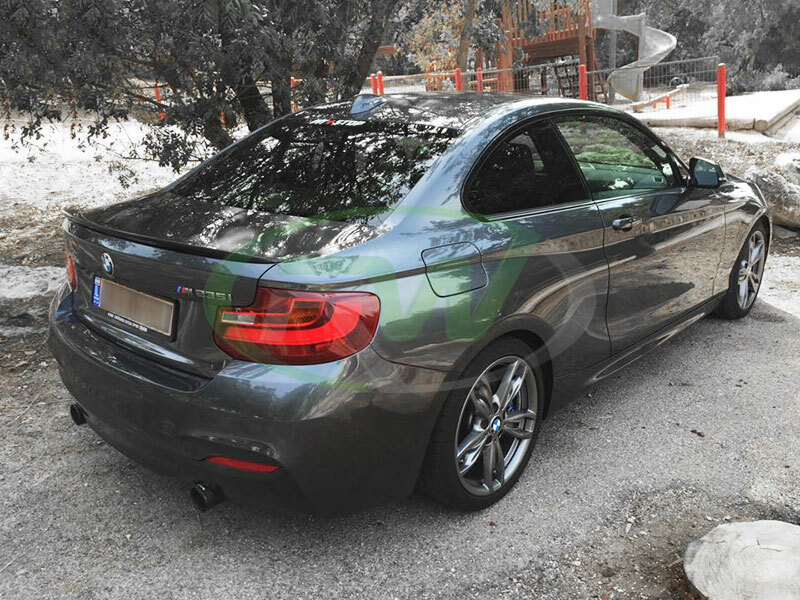 This customer and his new BMW F22 M235i came from Israel. 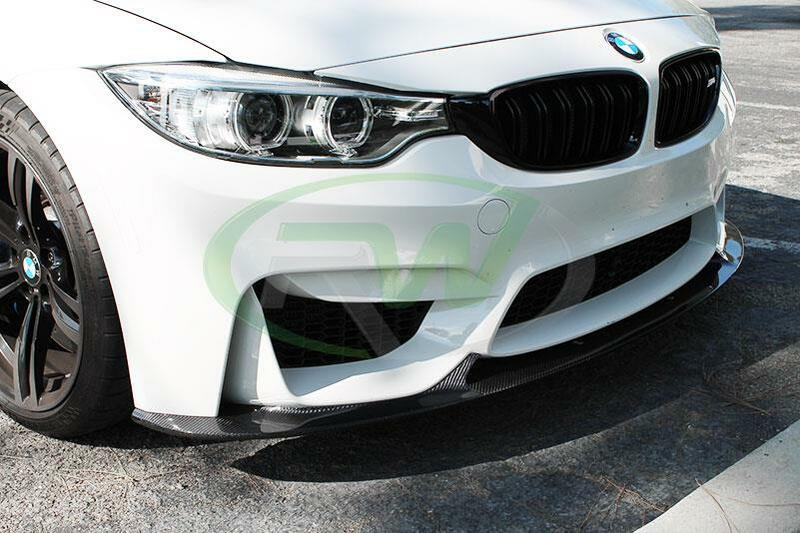 He had previously reached out to us via Facebook to hook up his BMW F22 M235i with some carbon fiber parts after seeing our new Performance Style Front Lip had been released. He decided to go with the Performance Style Carbon Fiber Trunk Spoiler, Front Lip Spoiler, Mirror Caps and Gloss Black Double Slat Grilles. 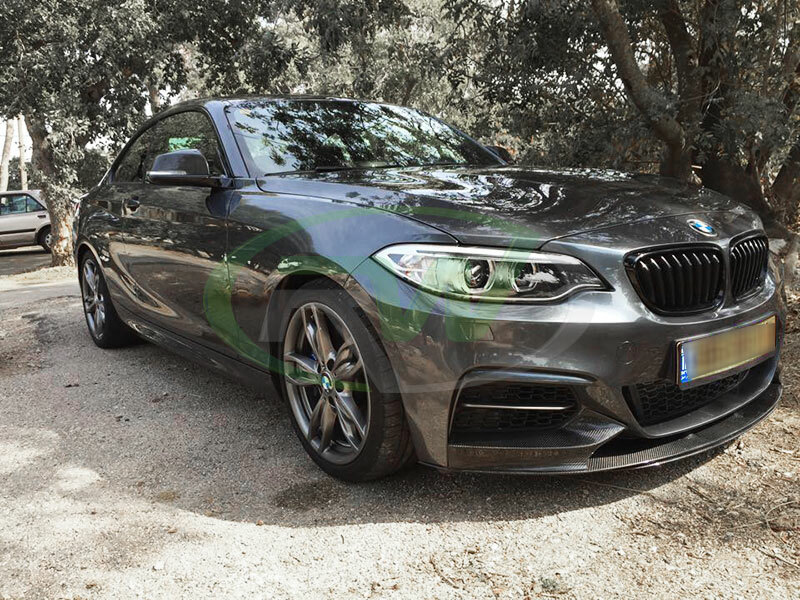 The combination of the 4 parts really made this 2 series stand out and give him that aggressive carbon fiber theme he was after. The front lip, trunk spoiler and mirror caps are all made using our high quality 2×2 carbon fiber fabric and is finished off with a thick coat of clear. Our clear coat is what really makes our items pop, but it also helps to protect the fabric from the daily abuse of roads and debris. If you would like to read up on more information about these parts or view more photos please feel free to click on the product links below. 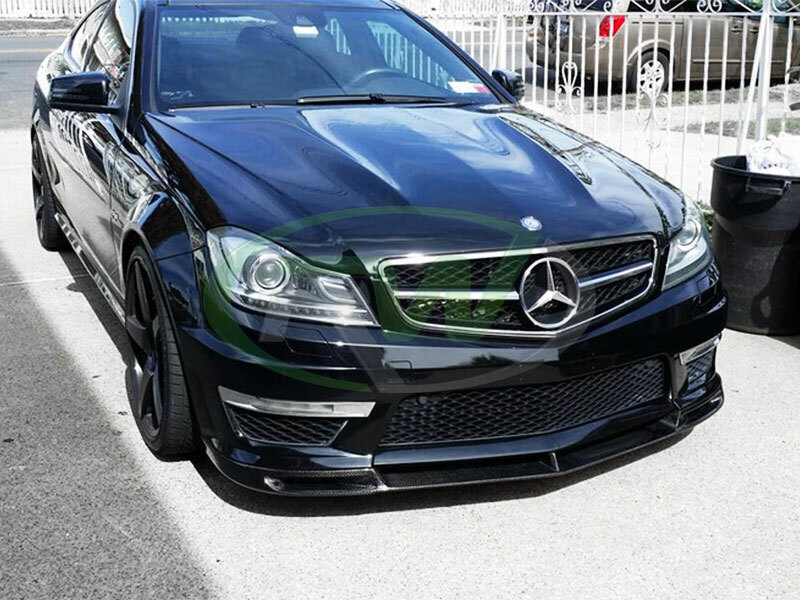 This lovely Mercedes W204 C63 AMG got the full DTM Carbon Fiber treatment from RW Carbon. 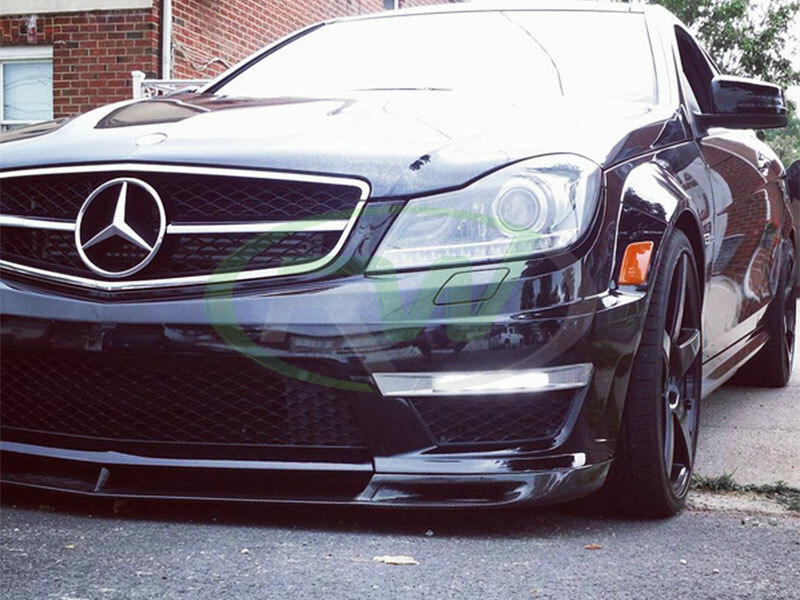 The owner of this C63 Coupe decided to go with the DTM (Big Fin) CF Diffuser and DTM CF Front Lip Spoiler. He paired this carbon fiber products with a red big brake kit and Vorsteriner Wheels. Both pieces are available for purchase from RW Carbon. 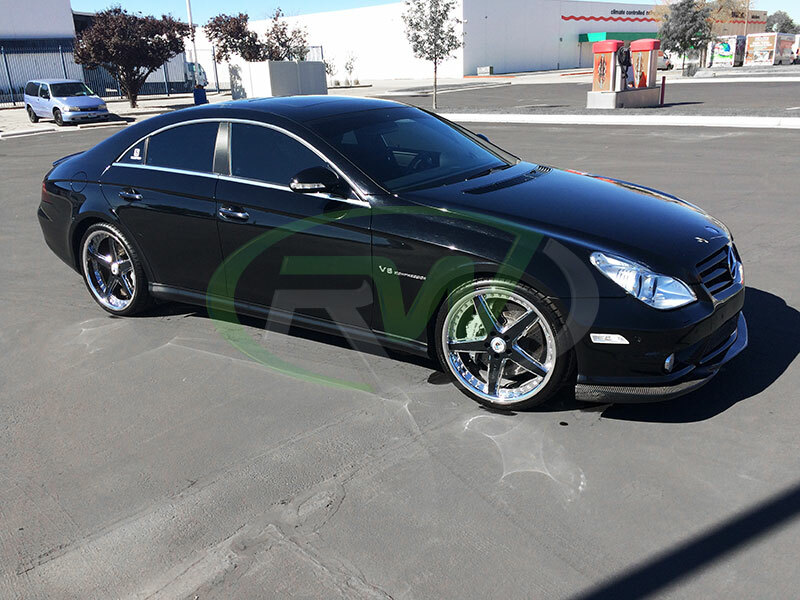 They are backed by a fitment and quality guarantee and are subjected to a strict quality control process before leaving our facility in Southern California. This front lip and diffuser are made with a 2×2 CF weave pattern, but can be custom ordered in a 1×1 pattern. 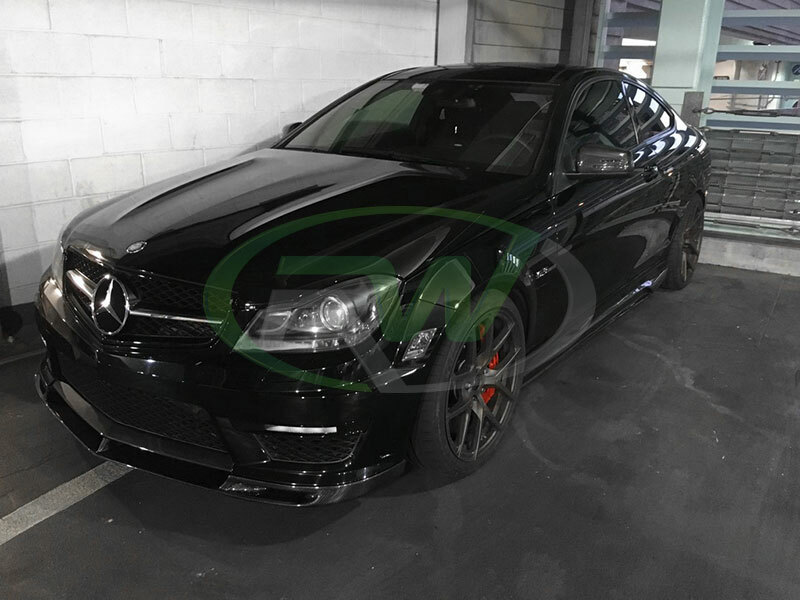 For more information, pictures and pricing for the DTM front lip and diffuser for the facelifted C63 AMG W204 please visit the links below. 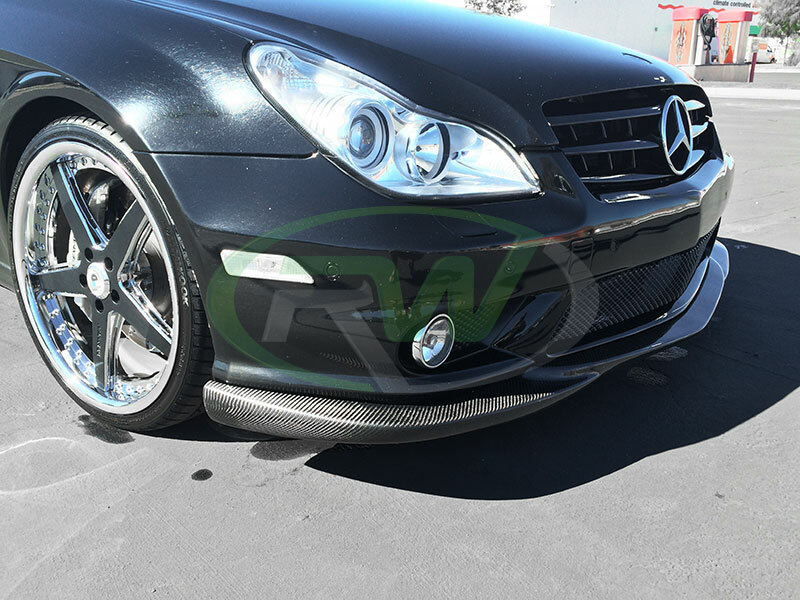 For more products that we carry for your Mercedes check out our online store at www.rwcarbon.com. 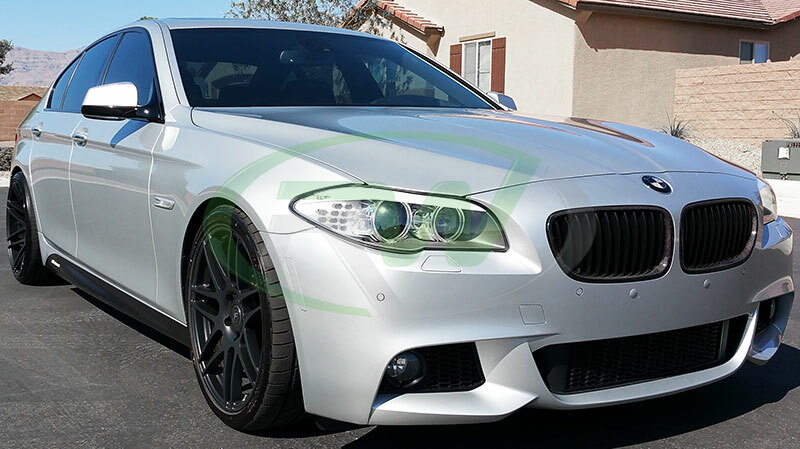 One of our past customers is the owner of this beautiful BMW F10 M5 in the Titanium Silver. He came to us a few months ago looking to upgrade his 5 series and give it a more unique look. 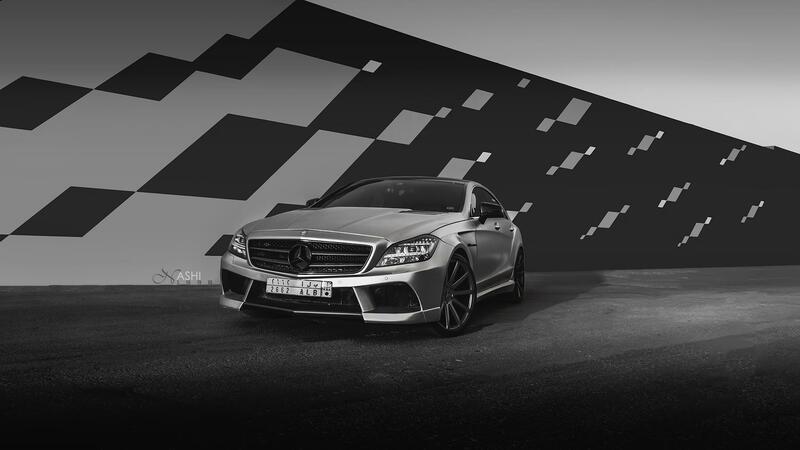 He decided to opted out of a lip spoiler and keep the front end looking modest with the addition of a set of carbon fiber kidney grilles, in the single slat design. 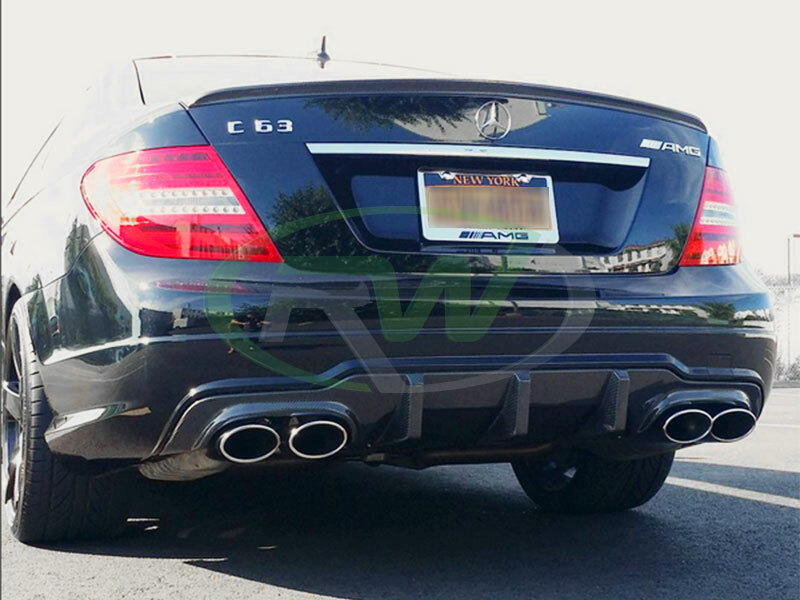 For the rear he decided to make it more aggressive with a DTM carbon fiber diffuser and an ACS style CF trunk spoiler. 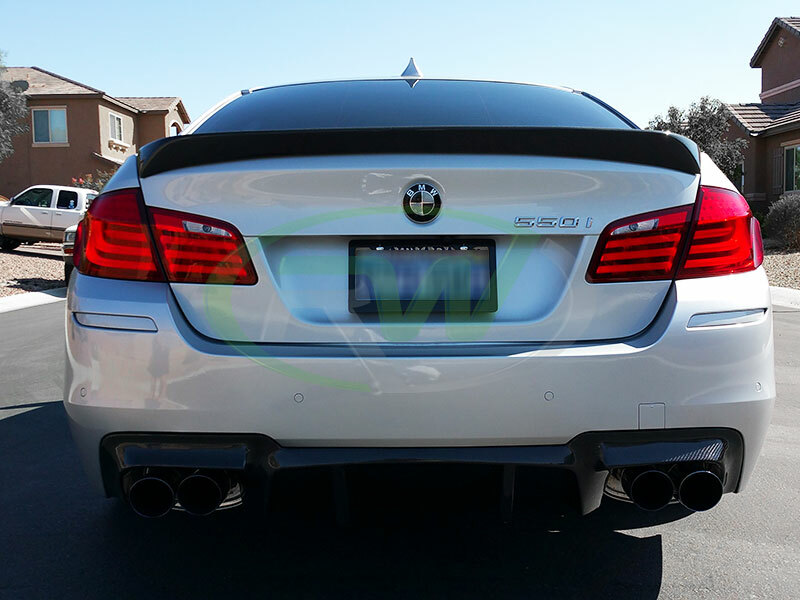 To complete the rear design and give it a more M5 feel he paired the diffuser with some mean looking quad exhaust tips. 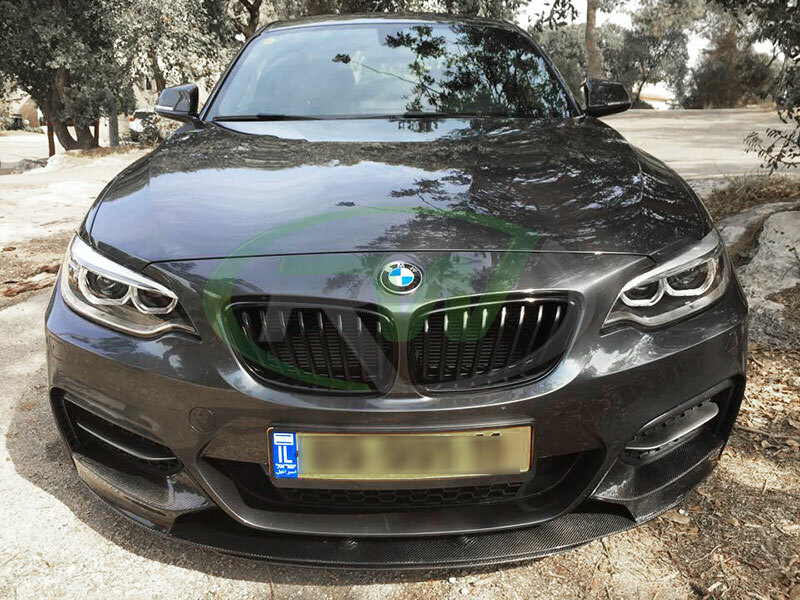 The carbon fiber theme really came out nicely and the customer could not have been happier with his new upgraded BMW F10 550i. 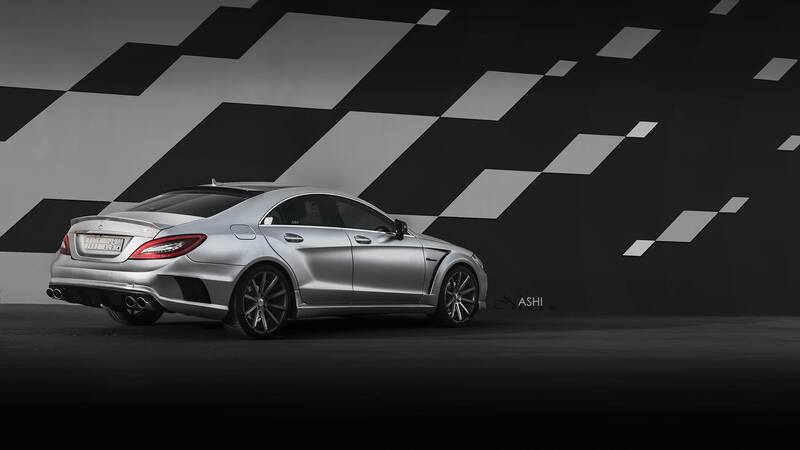 The diffuser and trunk spoiler is made using our 2×2 carbon fiber weave. The grilles are made using a 1×1 plain weave. We use a 1×1 weave pattern on all our carbon fiber grilles due to the small service area. A 2×2 pattern will look distorted and messy. Every part, whether it is 1×1 or 2×2 is coated with a high gloss clear coat and is inspected by RW Carbon before shipping. This helps to guarantee our products are free of defects. If you are interested in learning more about these products used on this build feel free to click on the links below. 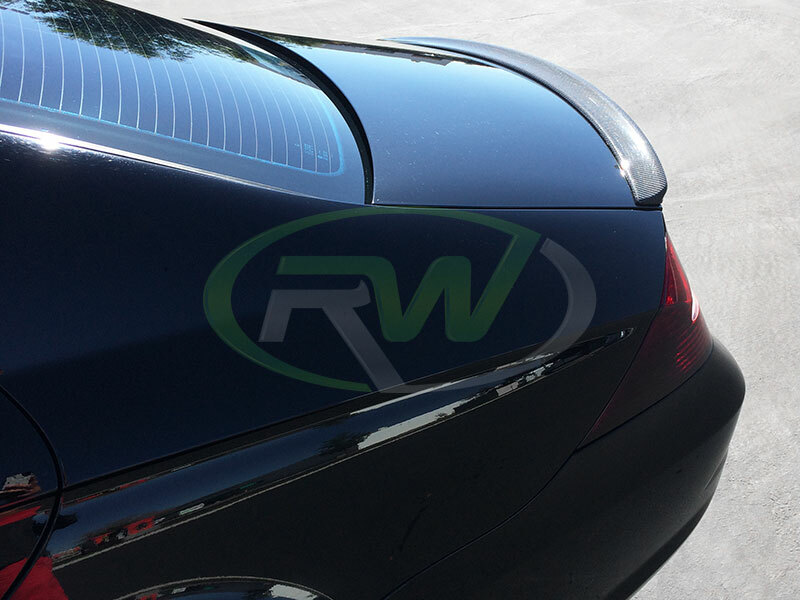 For all other product inquires check out our RW Carbon online store. Other parts he used for his build are the M Performance side skirt decals and Matte Black Forgestar F14 Wheels. The addition of these 2 items really helped to bring its final form together and give it a sleeker look. For more information on these parts/accessories or other CF parts for your ride please contact a carbon fiber specialist today. We can be reached via phone (714.328.4406) or email info@rwcarbon.com. 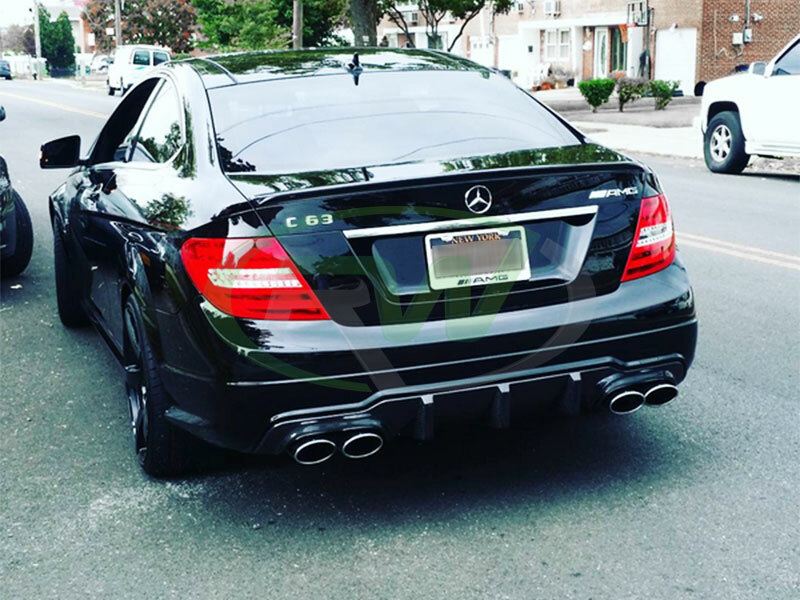 We just received some great pictures of our customer’s Mercedes W219 CLS55 AMG with some of our products installed. 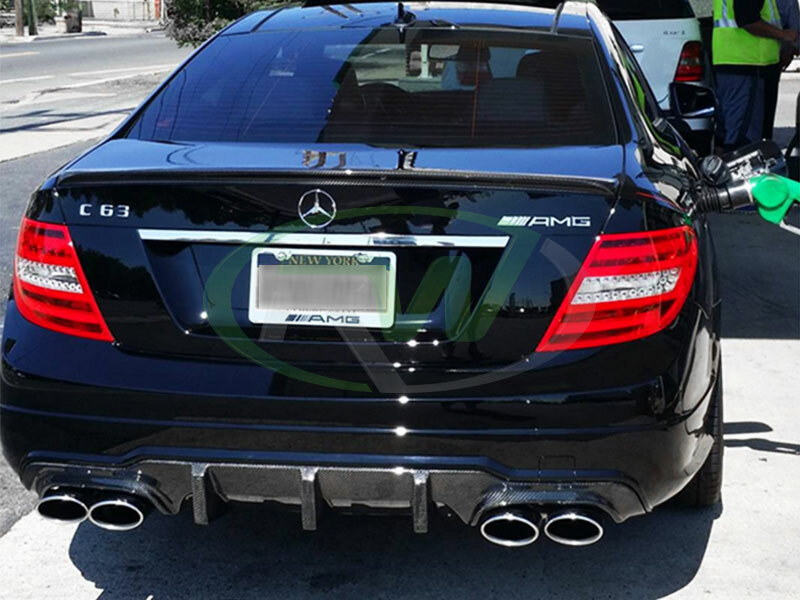 The owner of this CLS55 decided to go with our Front Lip Spoiler and AMG Style Trunk Spoiler, both in carbon fiber. These pieces really helped to bring the car together and add a more aggressive touch to the already aggressive looking AMG. These particular products are made using a 2×2 carbon fiber weave pattern and finished with a brilliant clear coat to help bring out the natural depth of the fabric. 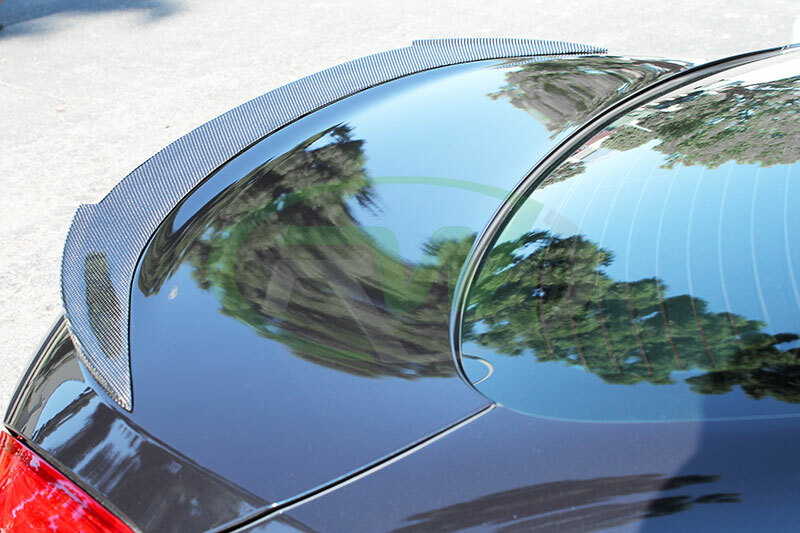 The clear coat also is there to protect your CF aero products from the harmful UV rays from the sun and to keep dirt and debris out of the fabric. If you wish to learn more and view more pictures of these parts feel free to click on the links below. If you have any further questions do not hesitate to get in contact with one of our carbon fiber specialists. 714.328.4406. With the overwhelming amount of carbon fiber aero parts and accessories being released for the new BMW F80, F82 and F83 M3 and M4 models, it can be difficult to choose which ones are best for your build and give you the look you are after. Different styles will give your M3/M4 varies looks and aggressive features. Depending on the amount of modifications you are doing to your BMW may dictate how aggressive you want your carbon fiber aero parts. Typically more aggressive products will also require more extensive installs which cost more to install and may require modifications. 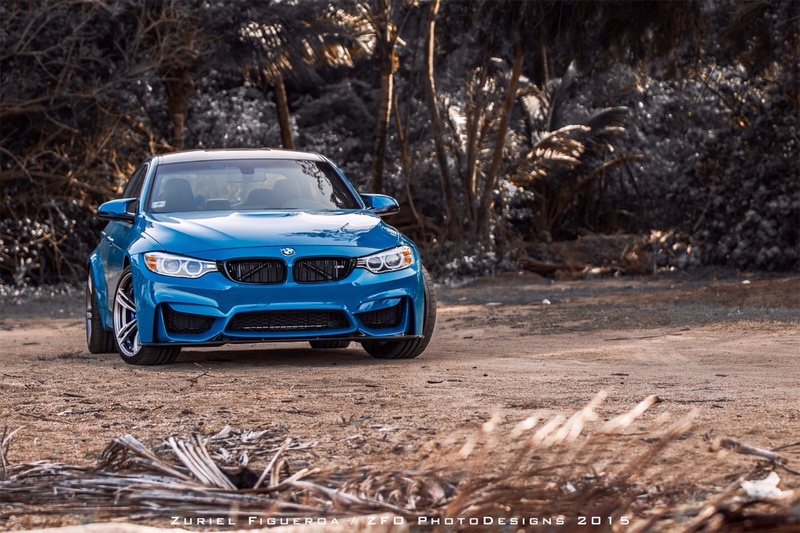 This BMW F8x M3/M4 Carbon Fiber Buyers Guide will walk you through our most popular CF parts for the new M3/M4 models and hopefully help you choose the right parts for you. 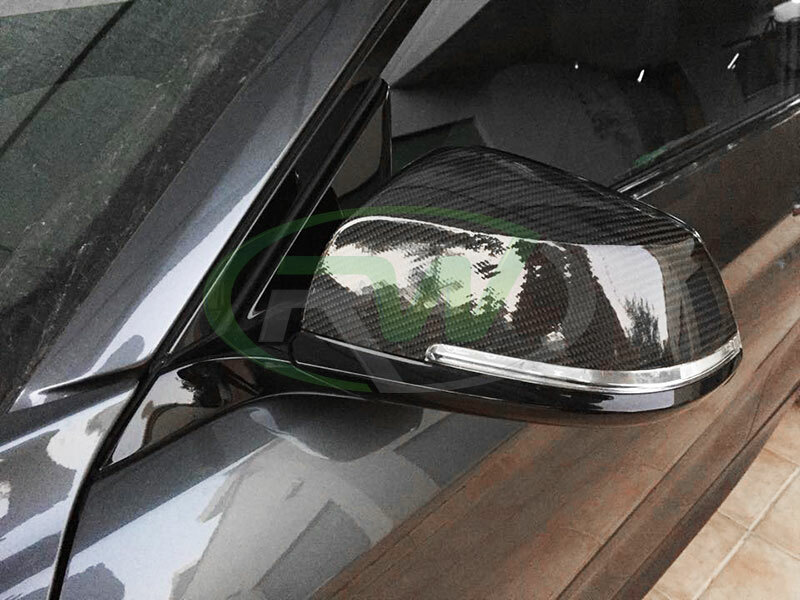 All of the carbon fiber aero parts you see below are backed by RW Carbon’s fitment and quality guarantee so shop with confidence that you are getting a high quality product for your ultimate driving machine. The first and typically the most popular CF aero product we will cover in this guide are front lip spoilers. Most people like to go with this part as their first modification because it can dramatically alter the look of the front end, which is typically the first thing people see when your car is pulling up or when someone checks out your ride. 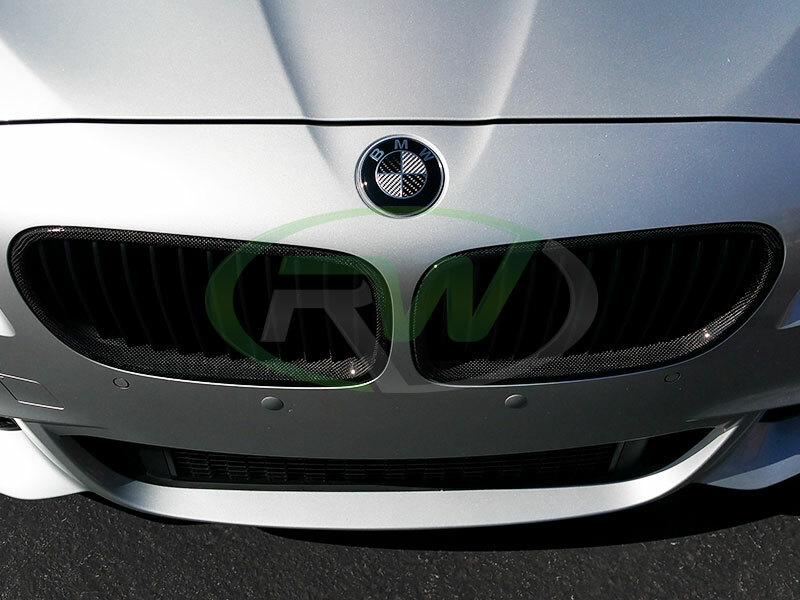 We currently carry 3 different style front lips for the M3/M4 models. However, we do have more in the works so keep checking our online store for more to come. Our first front lip is the Performance style front lip. When it comes to lip spoilers this one if definitely the most difficult to install. It is a 3 piece design (2 splitters and 1 lower lip), and requires the use of 3M tape for the splitters and self taping screws for the bottom. The most difficult part of the install is making sure everything lines up correctly. Professional installation is highly recommended. To help we do have an installation guide (Click Here to View). 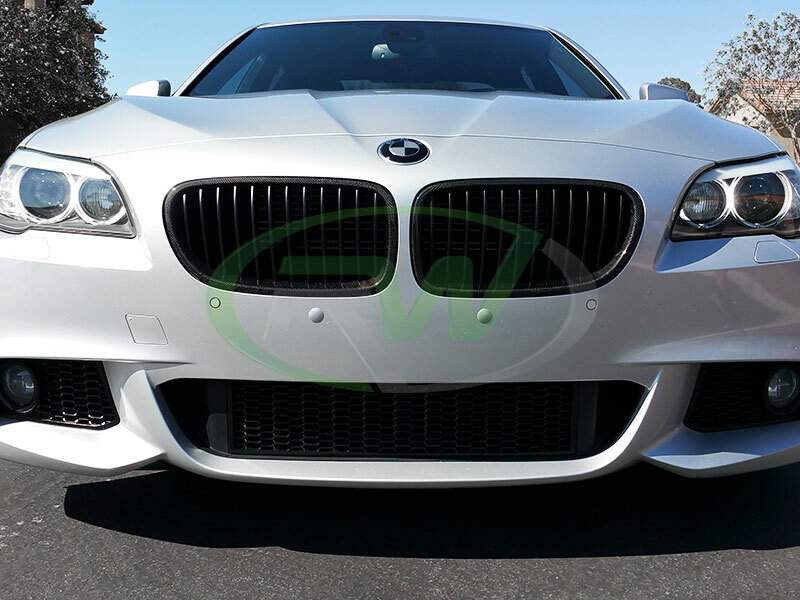 This lip is made using 2×2 weave carbon fiber fabric and is modeled after the M Performance front lip from BMW. This one is perfect if you want to pair your BMW up with all Performance products, like the trunk spoiler and diffuser. If gives your M a modest and classic BMW look. The second style lip is our 3D style carbon fiber front lip. This one tends to the the easier of the 3 to install. It has pre-drilled holes for mounting and is a 1 piece design. 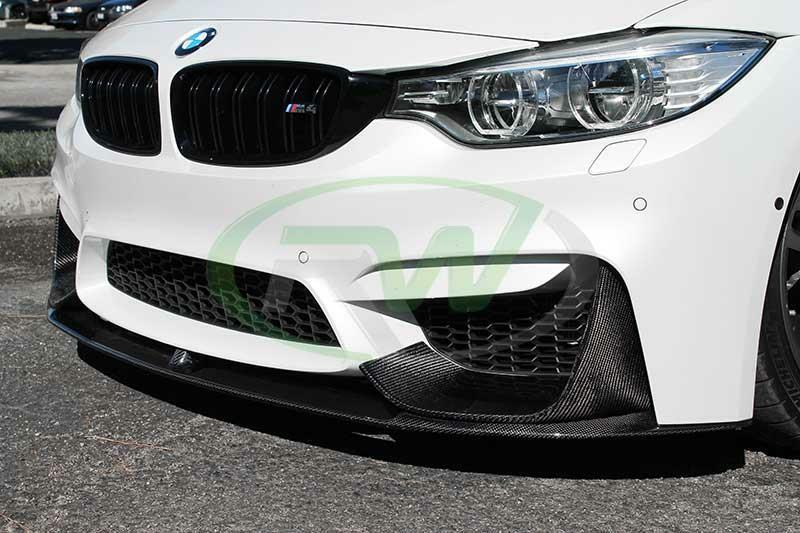 It utilizes the same 2×2 carbon fiber weave and will give your BMW M car a nice aggressive touch to the bottom without covering any of the bumper (as seen on the performance style lip above). The last front lip we currently have to offer is the DTM front lip. This lip will tend to hang lower then the 3D style and is more bulky. It will give you a lower and more aggressive look, but may be a little more difficult to drive with if you are heavily lowered. The lip is deigned to be stronger than the 3D Style so it can take a little more abuse before it cracks. This one also comes with pre-drilled holes for easy installation. Next up on the list of must have carbon fiber aero parts are rear diffusers. Your BMW M3/M4 is not complete with out some carbon in the rear. An upgraded CF diffuser adds that aggressive touch to the rear that the front lip gave to the front and adds that mean stance people will be checking out when you pull away from them. RW Carbon offers 3 styles for the F80, F82 and F83 models. We also have more diffuser styles coming out so keep checking our online store. 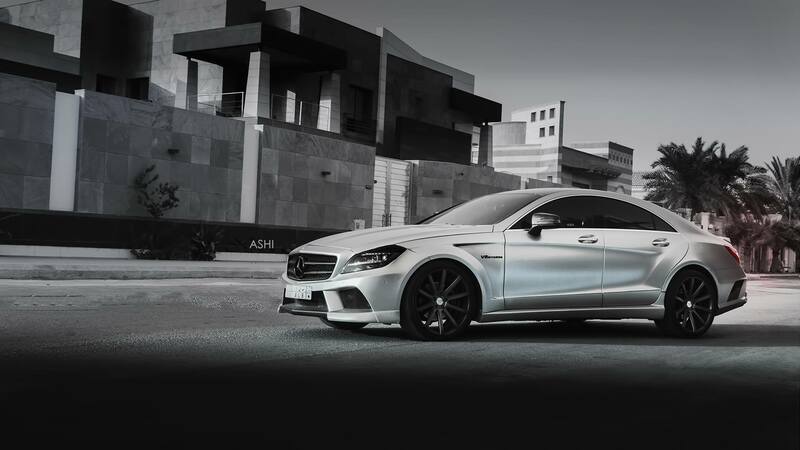 The first style we offer is the Performance style diffuser. 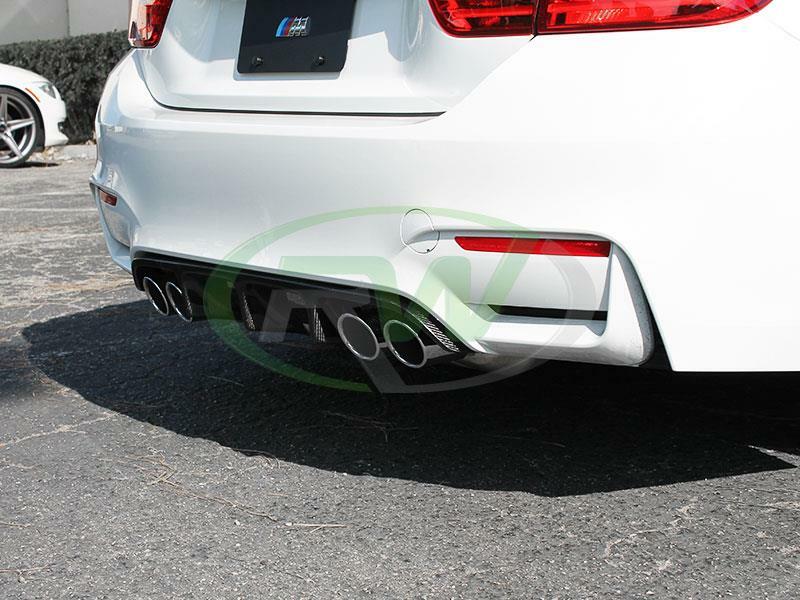 This diffuser is our most modest style and is modeled after the M Performance diffuser from BMW. 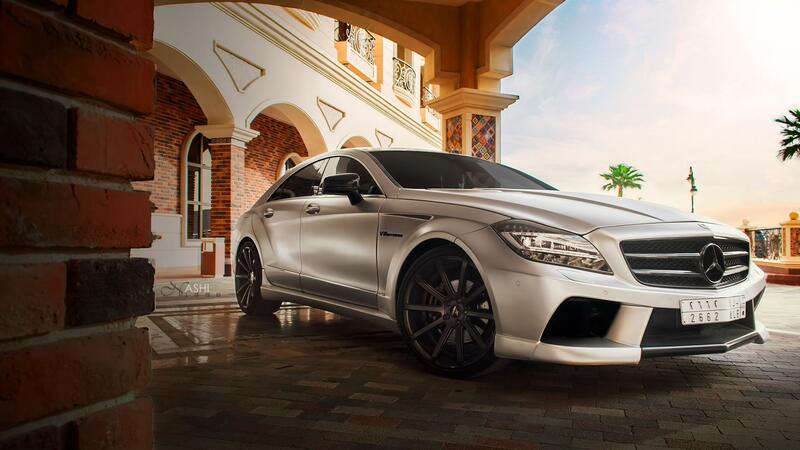 This one is perfect if you want to pair it with the Performance style front lip. 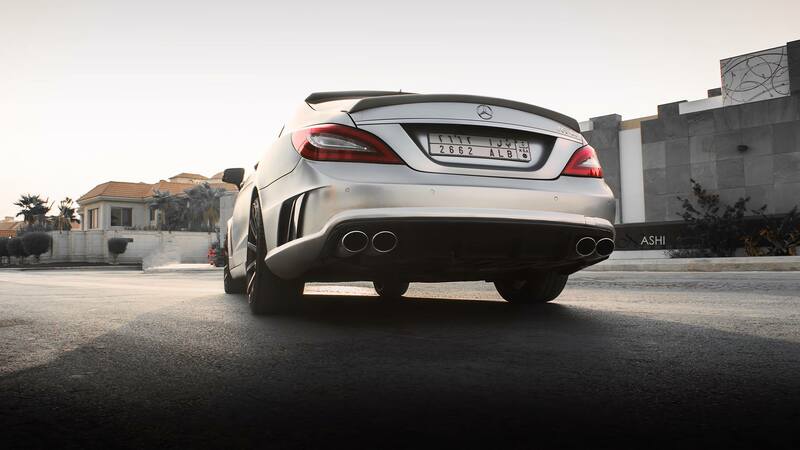 It adds a nice carbon feel to the rear end without being too extravagant. Installation for this piece is very simple and can be done in under 20 minutes. For more details on the installation procedure please (Click Here). If you want a diffuser with a little more impact we carry a big fin version of the performance style. It is styled after the RKP diffuser and is made using the same 2×2 carbon fiber weave. 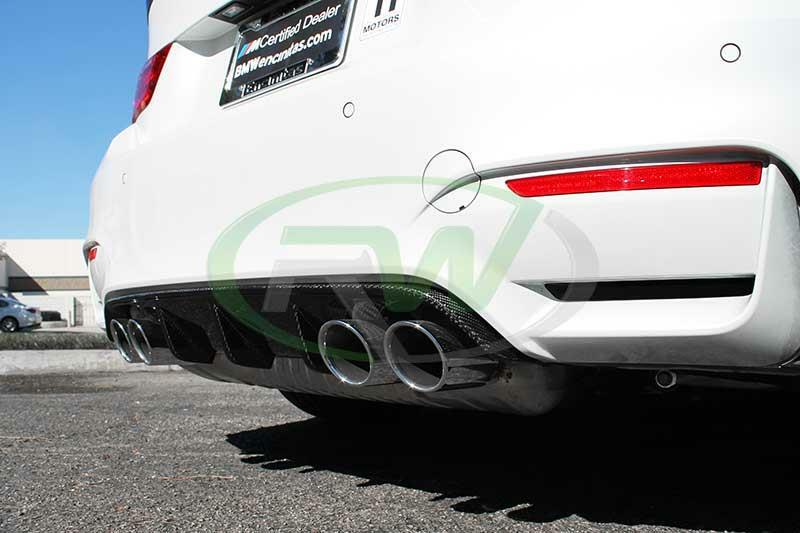 This diffuser installs the same way as the Performance style diffuser so installation is also a piece of cake and you can also use the same install guide as seen above. If you are all about going big or going home on your carbon fiber aero parts, then our new DTM carbon fiber diffuser is for you. It takes aggressive styling the the max, with huge fins and side blades that extend under the rear bumper all the way to the rear fender wells. It is completely made out of 2×2 carbon fiber and is a 1 piece design. This part is perfect to match up with a DTM front lip spoiler. 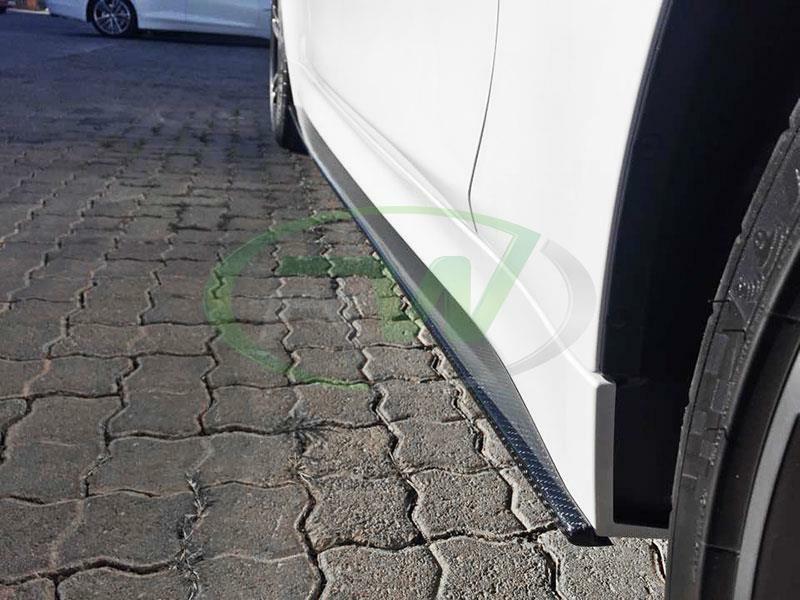 The installation on this diffuser is far more complex and really needs the experience hand of a professional for proper fitment and installation. 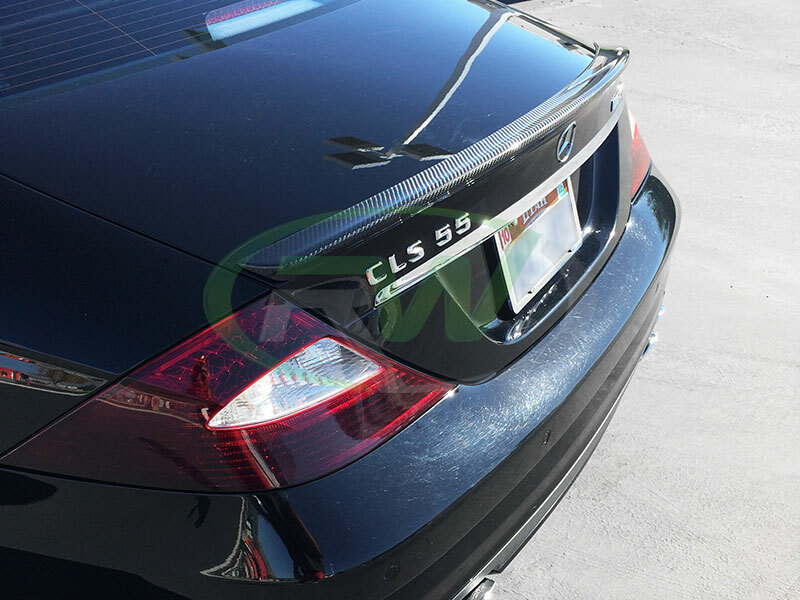 The last part needed to finish off your carbon fiber theme is a new trunk spoiler. A new trunk spoiler will not only give your BMW M car a wickly new aggressive look but also adds downforce at high speeds. 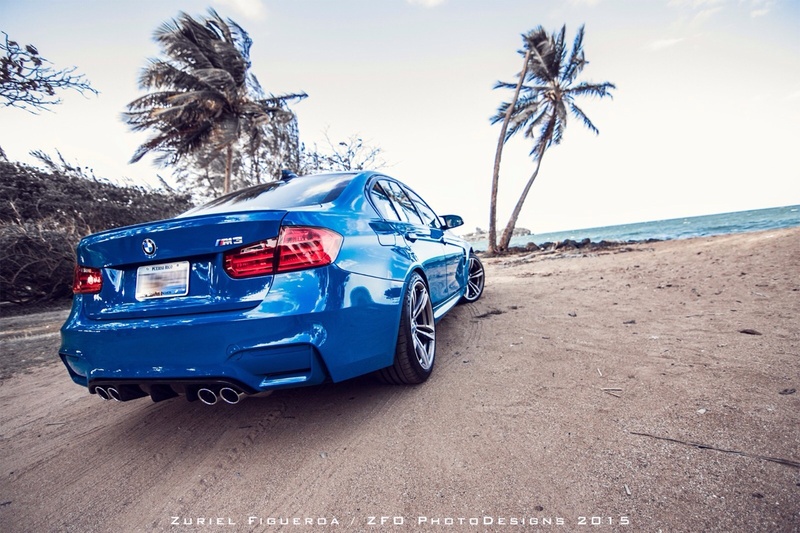 We currently offer 1 trunk spoiler for the F82 M4 models (with one more style in the works) and 2 styles for the F80 M3. We currently do not have a trunk spoiler for the F83 convertible models, and do not have any current plans to make one. 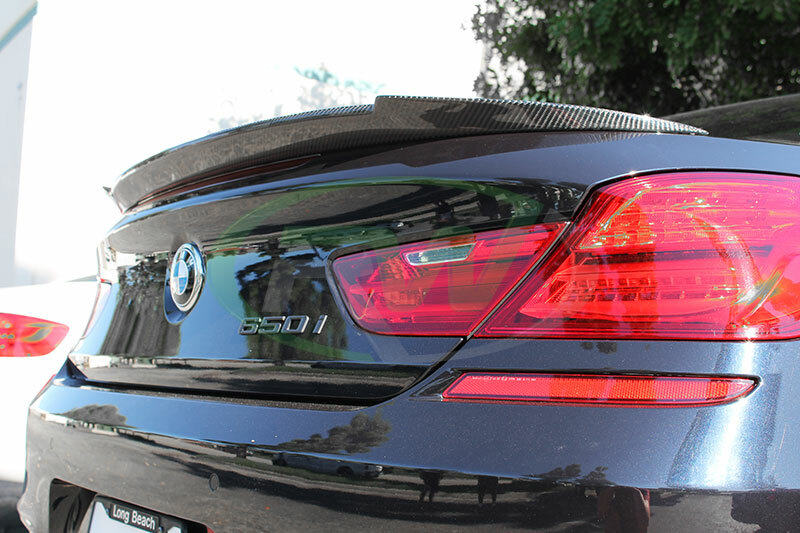 For the F82 M4 we have the performance style carbon fiber trunk spoiler. 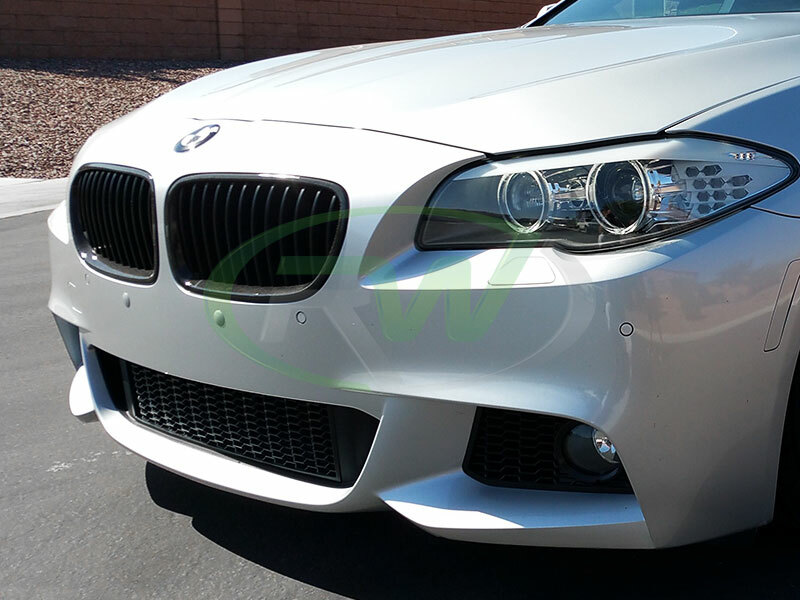 Styled after the M Performance spoiler, this one is perfect to complete your performance styled theme with your front lip and diffuser. It is a subtle aggressive upgrade, but looks great with any CF parts. If you are looking for something more aggressive we will have a new style coming out soon. 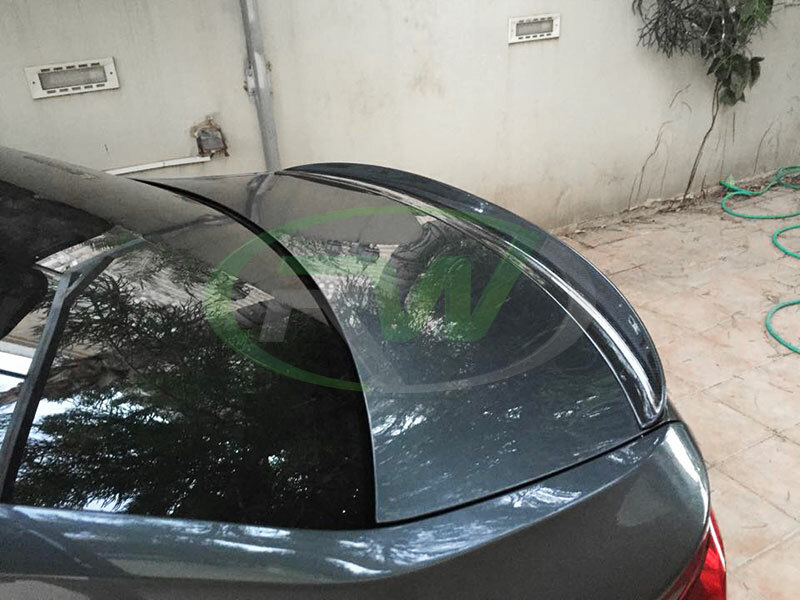 This spoiler attaches using 3M double sided tape. 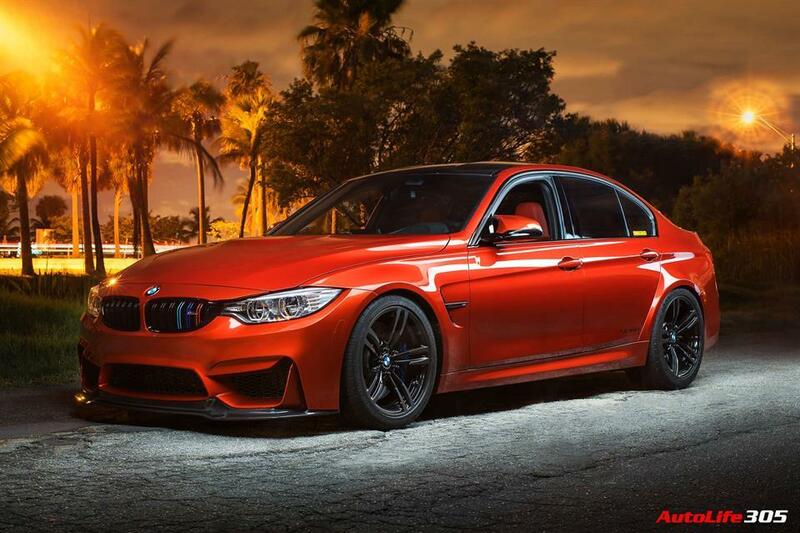 The F80 M3 owners are lucky as we have 2 styles available. The first one is the Performance style. 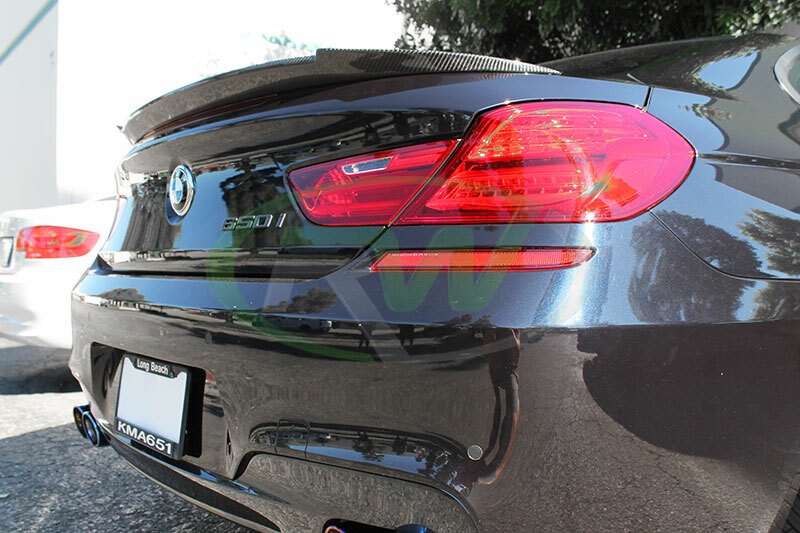 Since the F30 3 series and F80 M3 share the same trunks, these spoilers are the same the F30 versions. A great addition to your build, but if you are looking for something a little more aggressive and unique we just released a M4 style spoiler for the F80 models. 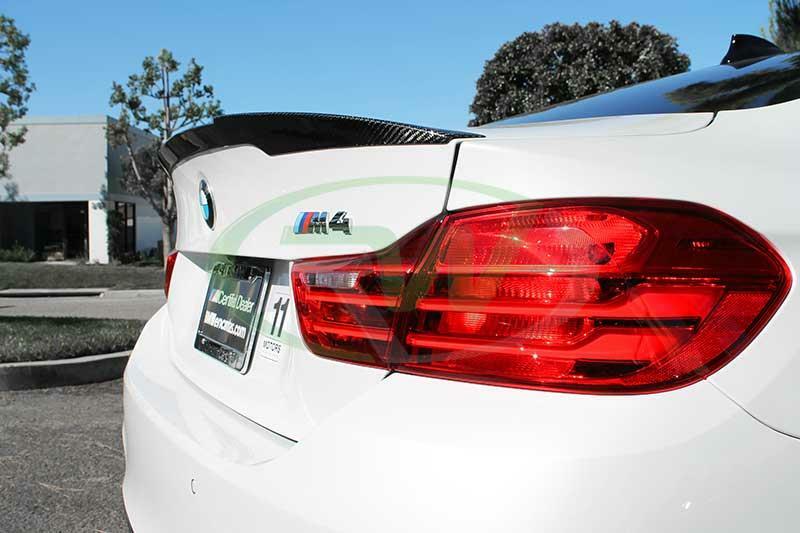 Due to the popularity of the M4 performance spoiler we created one for the F80 models. So far it has been a huge hit with the M3 community. Both are made using our 2×2 carbon fiber and install using 3M double sided tape. 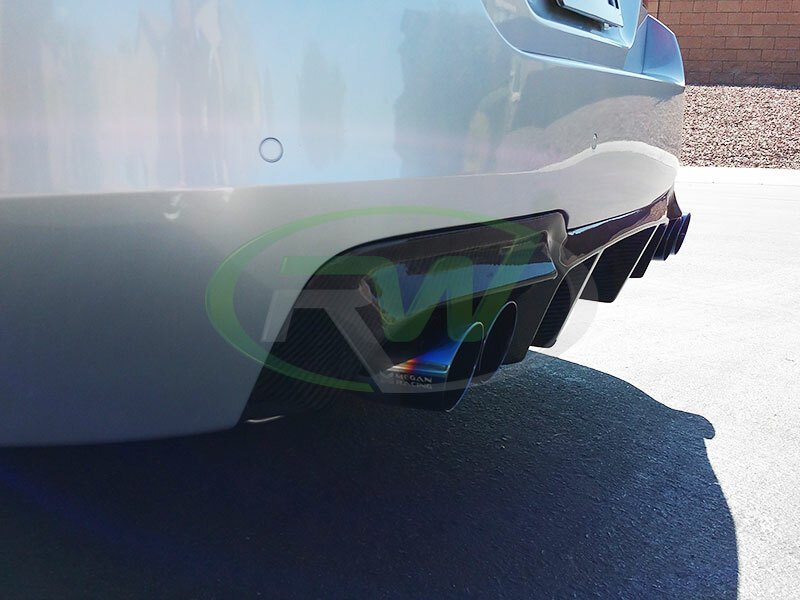 If you want to go a little further than the average carbon fiber consumer, RW Carbon also provides carbon fiber side skirt extensions for the BMW F82/F83 M4. These also may fit the F80 M3 models, but are currently being tested. For up to date test fitting results please email us (info@rwcarbon.com). These side skirt extensions install below your side skirts with self taping screws and gives your M4 a lower and more aggressive stance. 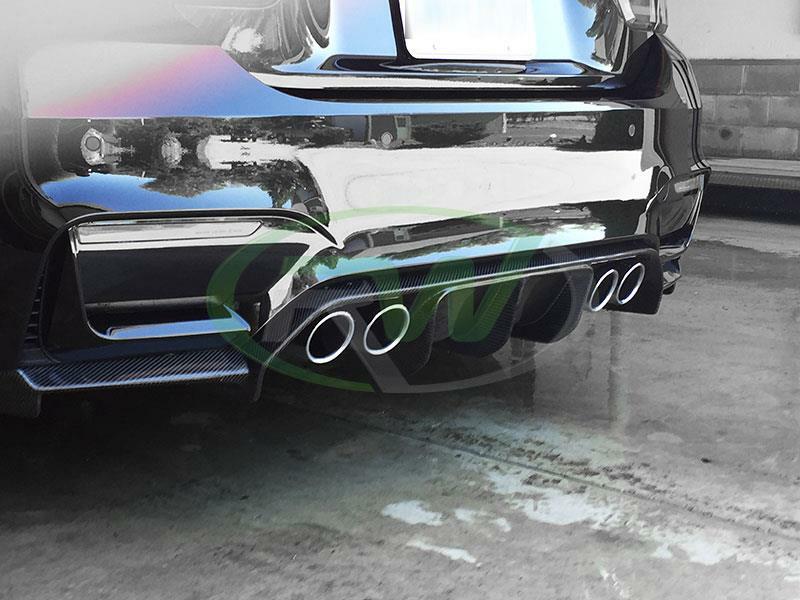 It also helps to bring the diffuser and front lip together by giving the allusion of a lower center section that lines up with the front and rear pieces. 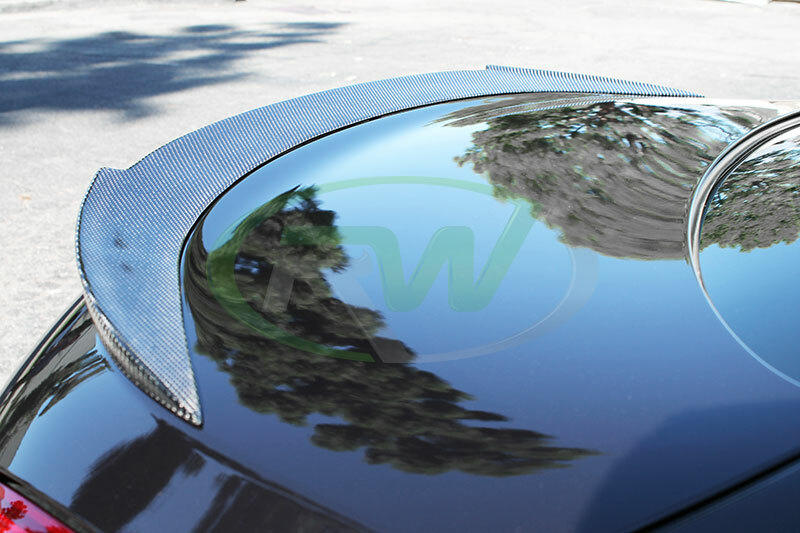 If you are interested in more carbon fiber parts and/or accessories for your BMW M3/M4, please feel free to visit our online store at www.rwcarbon.com or check out our most popular M3/M4 products page by clicking here. 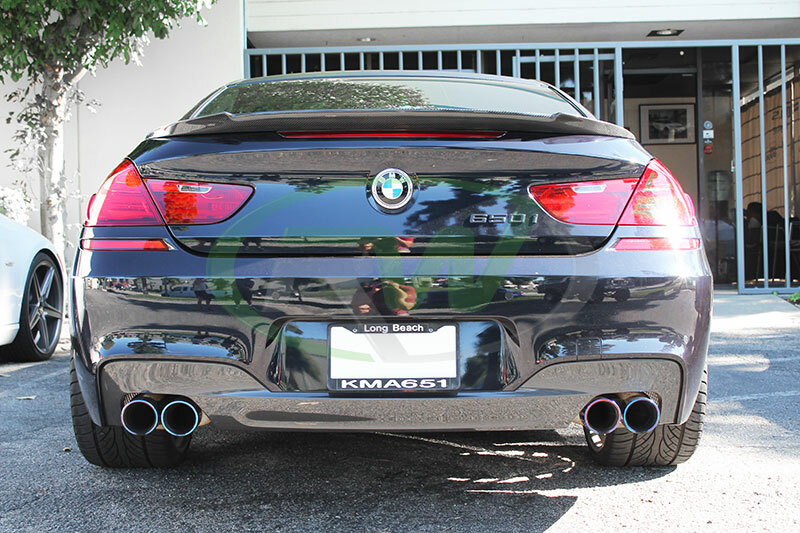 Last Friday we had a beautiful BMW F13 650i coupe come by the shop for a new trunk spoiler. 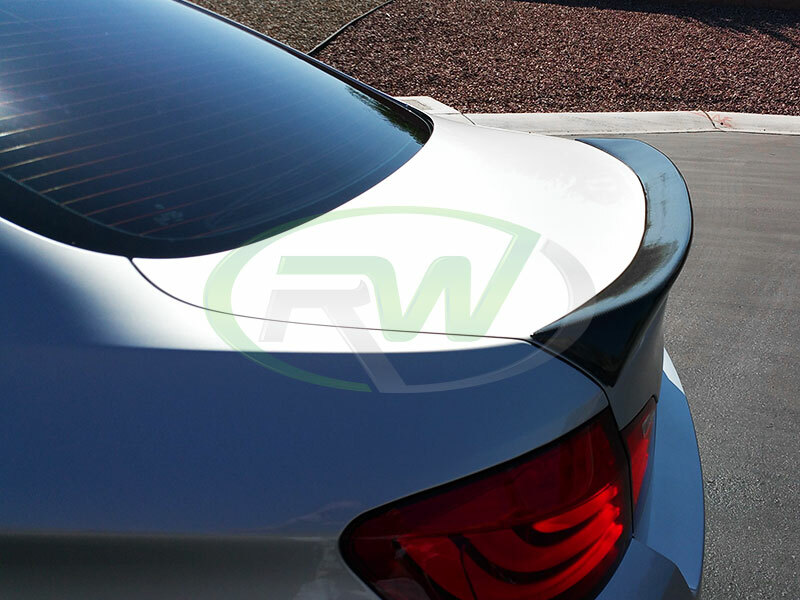 The owners of this 6 series decided to go with our new DTM Carbon Fiber Trunk Spoiler and opted to get it installed here at RW Carbon. Installation is fairly simple for these spoilers. The key to getting great fitment is to position the tape only in the indented area and make sure the tape extends to the outer corners so they sit flush. It took us a couple tries to get the tape positioned correctly, but the end result was spot on and really gave the car that aggressive touch that the owners were after. 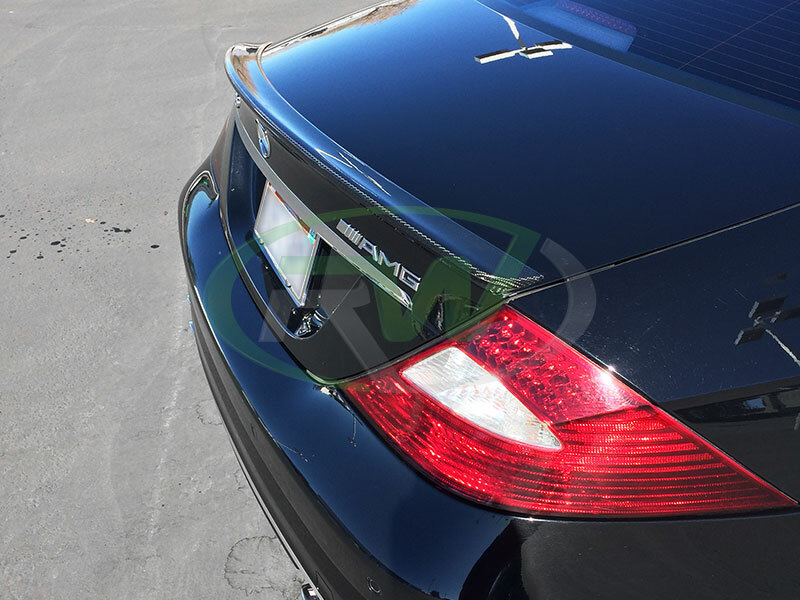 These trunk spoilers are made using real 2×2 carbon fiber fabric and are finished off with our brilliant clear coat to bring that shimmer and depth of the weave out. The clear coat also protects the piece from UV rays and dust/debris from the road so this piece will look great for years to come. Just make sure you take care of your carbon fiber trunk spoiler by regular washing and waxing it. The more time you take to upkeep your trunk spoiler the longer it will last and look like new. For more steps on how take care of your carbon fiber parts and/or accessories please check out the link below. 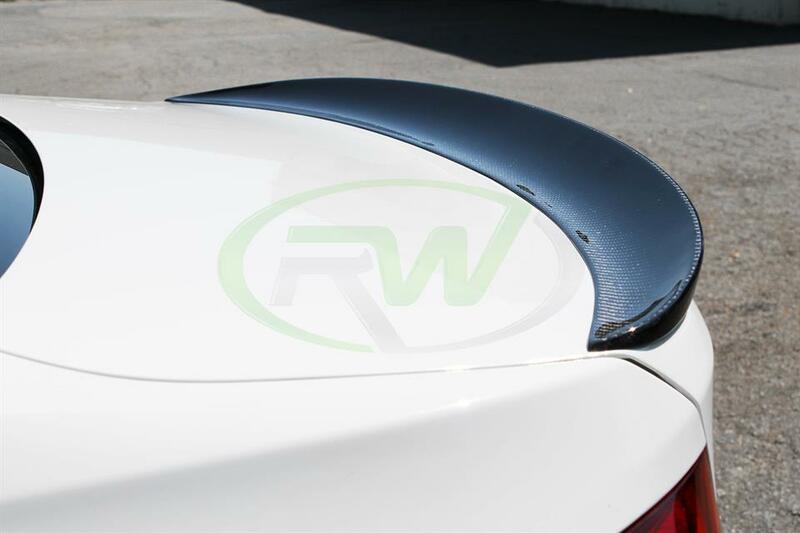 This DTM trunk spoiler for the F12 6 series comes with our fitment and quality guarantee, so shop with confidence at RW Carbon. 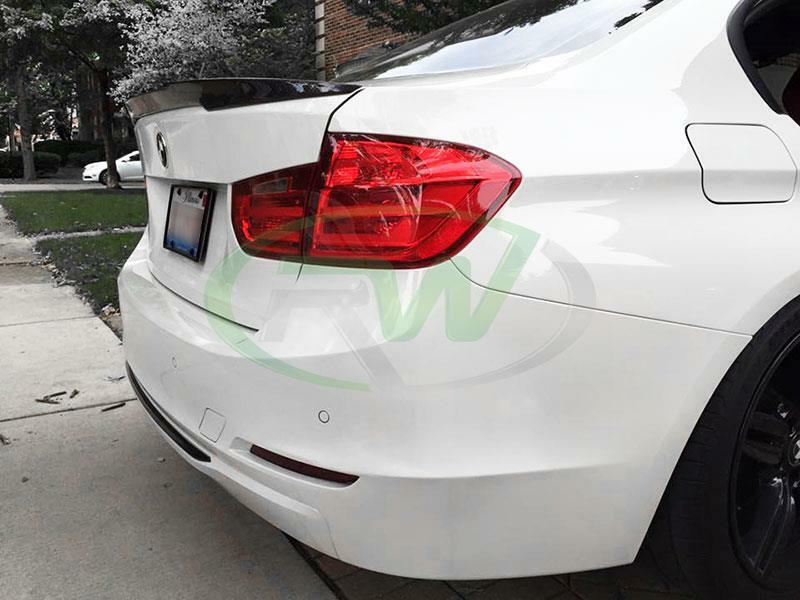 If you would like to view more carbon fiber products for your F06, F12 or F13 BMW please feel free to visit our online store at www.rwcarbon.com or visit the DTM trunk spoiler product page to view more pictures and learn more. 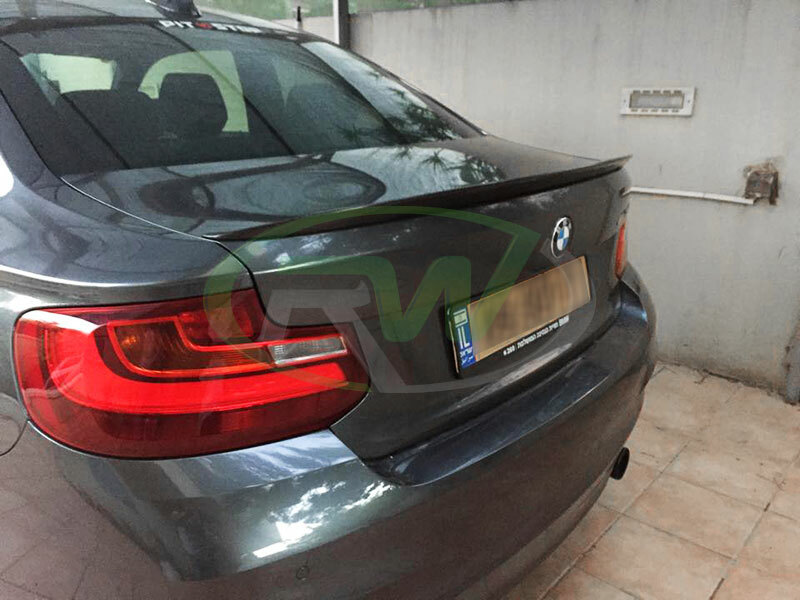 Feel free to contact one of our carbon fiber specialist if you have any questions or concerns about this DTM carbon fiber trunk spoiler or any of our carbon fiber products for your BMW. We can be reached via phone at 714.328.4406 or email at info@rwcarbon.com.